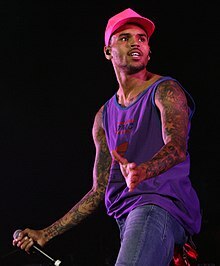 Is amhránaí, aisteoir agus ceoltóir rap é Chris Brown a rugadh ar an 5 Bealtaine 1989 i Tappahannock, Virginia, Stáit Aontaithe Mheiriceá. Tá 83 gradam buaite ag Brown. Tá 265 ainmniúchán faighte aige. Tugadh an leathanach seo cothrom le dáta an 29 Nollaig 2017 ag 15:25.